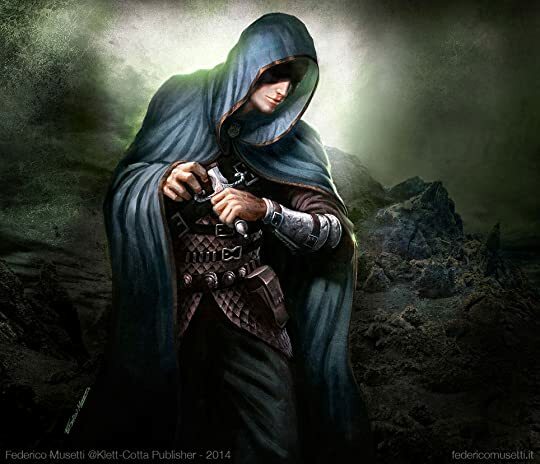 Riyria Revelations is without a doubt one of my favorite Fantasy series and one that I will revisit again and again in the future. I think I can safely say this is the kind of series that gets better with each book. I thought that the first time I read it and I completely agree with my younger self on this point. Theft of Swords is divided into 2 books: The Crown Conspiracy and Avempartha. The Crown Conspiracy may be seen as a long prologue that lays the foundation to the main story. The landscape is defined and the main political and religious powers are introduced. Nevertheless, the story is quite simple. Unlike most high Fantasy series I read, there is no big villain to overthrow, no impending doom that threatens the kingdoms (yet ?). Even if that’s kinda refreshing, my biggest complaint about this first part is that it totally lacked the complexity and epic tropes I usually seek in Fantasy. Yes, there is magic and a fabled wizard, yes there is talk about gods and an epic fallen empire, about elves and dwarves… But it’s mostly just that : talk and myths and History. The first time I read this, I just closed the book and thought to myself: “Okay… Hum… That’s it? Shall I continue?” And man! I’m so glad I did. Because, though lacking “epicness”, this book (and the series as a whole) introduced me to an awesome palette of great and lovable characters. Hadrian and Royce form an improbable duo. They are fundamentally different, both carry mysterious pasts and they can’t stop bantering. I loved them since the beginning (even when we didn’t know much) because I sensed there was much more to them than what Michael hinted at at this point. And then there is dear, dear Myron, one of the most adorable and endearing characters ever written in Fantasy. He was so cute, marveling at everything and raving alone with no one to comment at his observations! “There,” Hadrian told Royce, “we’ve got Maribor on our side. Now you can relax.” “Actually,” Myron said sheepishly, “I was praying for the horses. But I will pray for you as well,” he added hastily. Something I also loved about this book was Michael’s prose and humor. The writing was really fluid and I enjoyed the easy read and laughed so hard at some of the dialogues and situations. The second book, Avempartha improved a lot in terms of plot and characterization in my opinion. In this part, myths are taking more shape and the scope of the story is broadened, as more is at stake and interesting Fantasy elements are introduced. 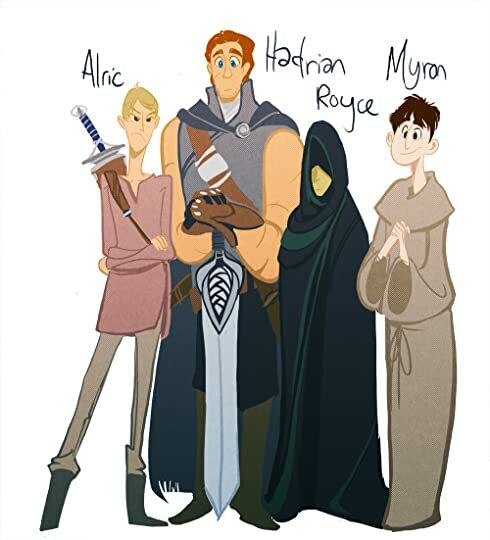 We get to know more about Hadrian and Royce as they encounter new faces (Thrace is a great female addition) and meet again with some of the first book’s characters. I understand my reading buddies Petrik and Sarah‘s complaints though as the story and actions are quite soft at this point and we hear a lot about the lead duo’s badassery (in the past) but don’t see much of it, for now! Anyway, this second book was more engaging and hinted at a grander and more complex story and I was really happy to see more facets of Royce in this one. While Hadrian is genuinely kindhearted and caring and looking for a noble purpose in life (imagine him like a giant teddy bear! Well a teddy bear carrying 3 swords, that is…), Royce is sinister, somber, grumpy, clever and sarcastic and I absolutely love the contrast and complementarity between the two partners. Theft of swords can be seen as a big introduction to the series. The plot is very simple and the characters are well outlined but lack depth, background and introspection at this point. I know this first book can be disappointing (I wasn’t completely thrilled at first, even if I overall enjoyed the read) but if I may give an advice: please carry on with the whole series! Because only at the last page of the last book will you see the whole big picture and all the elements of the puzzle will fall into place. And believe me, it will be worth the journey!